Academic — pico ARCHITECTURE inc.
RJ Bartlett Engineering Inc., Crosier Kilgour & Partners Ltd., Epp Siepman Engineering Inc., SMS Engineering Ltd., Sison Blackburn Consulting Inc., Hilderman Thomas Frank Cram Landscape Architects, MMM Group and RWDI Air Inc.
pico ARCHITECTURE, as associate architects with Number TEN Architectural Group, is providing Architectural Services for the New Skilled Trades and Technology Centre (STTC) Addition at Red River College Notre Dame Campus. The building will be a state of the art facility that will accommodate up to nearly 800 students each year in high demand trades such as Carpentry, Electrical and Heating, and HVAC. The new STTC will be a critical part of the Province’s skills strategy to add 75,000 new skilled trade workers to Manitoba’s economy by 2020. The project scope includes Trade Workshops, Classroom, and Labs for Construction / Building Sciences, Electrical, Machining/Manufacturing/Mechanical, Refrigeration and Research as well as Academic Offices and User Support spaces. The design has been inspired by the longevity of the birch forest, the movement displayed in the forest canopy and in the details of the bark itself. This building is a celebration of the training of artists, craftspeople and technologists. Constructed in 1917, The Robinson Building (Formerly the Public Press Building) at 290 Vaughan Street is a municipally designated heritage building in downtown Winnipeg. 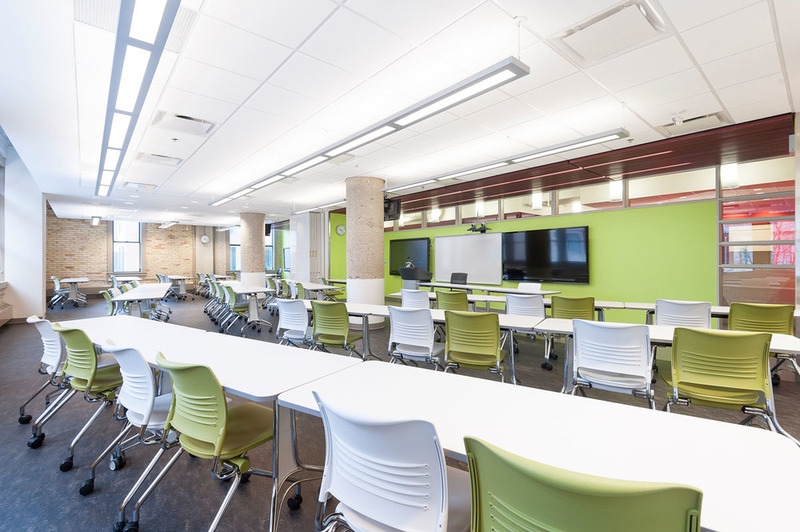 Looking to position itself as a leader in distance education and student-centered learning, Booth University College renovated the building’s second floor to create flexible classroom space; faculty offices; a new reception and waiting area; barrier free washrooms; and meeting space for staff and student use. 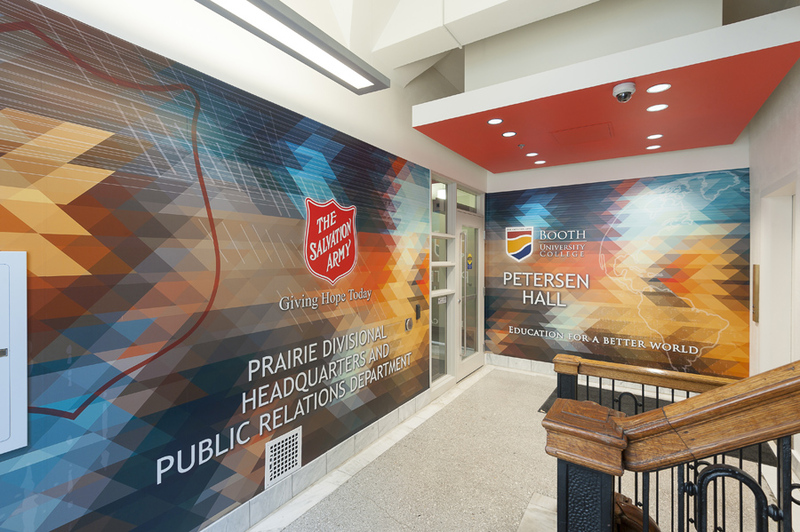 Petersen Hall has a distinctly fresh and youthful feel seamlessly incorporating advanced audio/visual technology and new corporate branding into the historic building shell. The demountable partition wall system in the office areas allows for future expansion and reconfiguration. A folding acoustic partition between classrooms allows for flexibility in class size. Crosier Kilgour & Partners Ltd. and Epp Siepman Engineering Inc. Supported by the Government of Manitoba, the Louis Riel School Division engaged pico ARCHITECTURE to lead a multi-school renovation project aimed at improving science facilities for high school students. 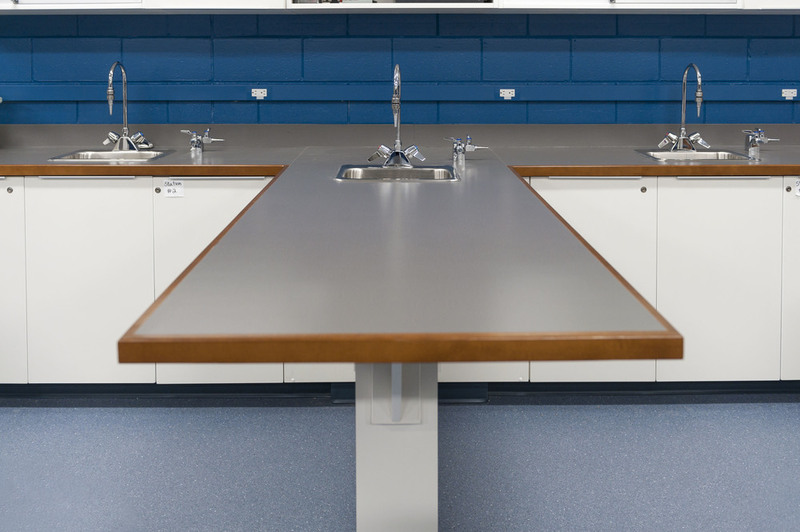 Dated biology, geography and chemistry labs throughout the Division were renovated to provide modern laboratory equipment and greater classroom flexibility to accommodate evolving teaching methods. The dated finishes, floor anchored lab tables, and large individual offices for teachers were replaced with rolling sections of millwork, moveable tables and chairs, open storage areas, chemical resistant surfaces, accessible workstations and improved safety features such as eyewash stations and emergency deluge showers. The new lab spaces have a distinctly fresh and youthful feel incorporating advanced audio/visual technology and improved acoustics to assist in student learning.